Dear reader we have learnt about bar reinforcement for micropile foundation in previous post; but as reinforcement or for other purposes we have to use pipe or tube and international building code provides us materials quality and design load to be allowed on these element of micropile. The pipe or casing should comply with ASTM A252, Grade 3 for tensile reinforcement. Minimum elongation should be 15%. Exception: when minimum or permissible yield strength is provided in design submittal like typical tensile strength of between 50,000 psi and 80,000 psi. Minimum thickness of wall of tube or pipe according to IBC should be 4.8 mm (3/16 inch). The casing is used in micropile construction to bear loads or to reduce deflection. Dear reader in our upcoming post we will learn about plate and shapes required for micropile construction and necessity of these elements including bearing capacity of concrete. Sometimes high strength casing of steel need welding, in this case the owner should require submittal of welding procedure, designed and submitted by welding specialist and should be review before any type of welding operation. The minimum value of yield strength (45,000 psi) and elongation (min-15%), as discussed above should be ensured from mill certifications. • Generally, two sets coupon samples for testing are recommended in code. 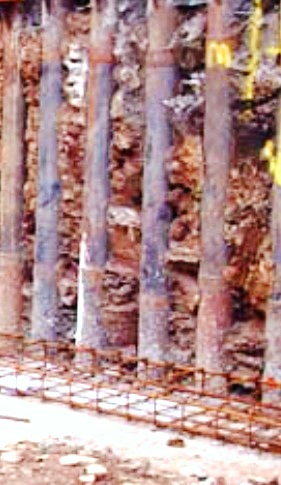 According to international building code, for micropile/its portions that are grouted inside permanent or temporary casing or grouted inside hole that is drilled through bedrock or hole which is drilled along with grout, steel tube or pipe should be capable of carrying equal or more than 40% of designed compressive stress. 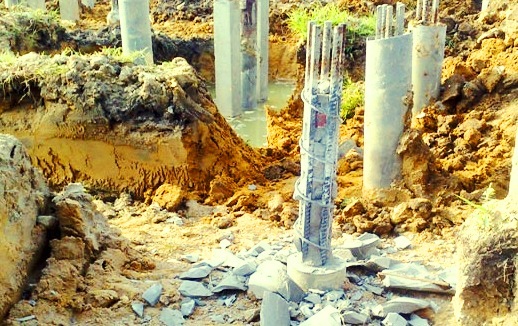 Any portion of micropile or micropile as a whole has been grouted in open hole without permanent or temporary casing in soil and where suitable means to verify hole diameter is not available during grouting, portion of grout enclosed in the pipe or tube is allowed to include in determination of allowable stress of the grout.